It’s Me Dave. I retired in December of 2012 and have entirely too much time on my hands. Consequently I decided I should record some of the more adventuress ways I spend my free time. 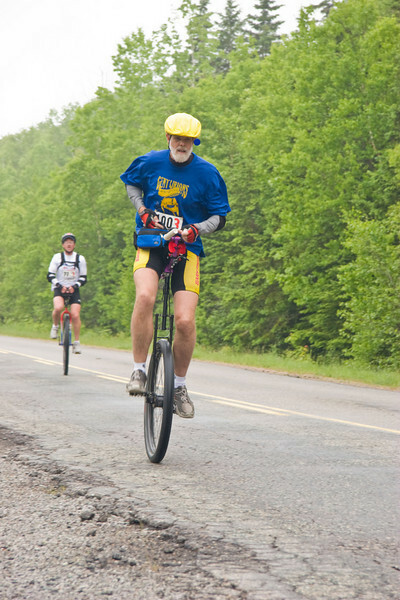 Most of my adventures entail but are not limited to touring around on my unicycle, sailing on the Great Lakes, or larger bodies of water and navigating whitewater rivers by kayak or raft. Hopefully my adventures won’t allow me much time to write in this blog and hopefully your adventures will be more interesting and won’t afford you the time to read much of this blog. Congratulations on your retirement, and your cross-country adventure! Interestingly, your ride started out and followed some of the locations from the 2009 California Mountain Unicycle Weekend. We started with a little morning beach-bluff riding a little north of your starting spot, and on the last day, we drove about 30 miles out I-8 to a great trail in the middle of nowhere. Hey Dave! This is Terry Giles (now last name is Ross). I was two years behind Suzi at St. Helen’s but remember you well……… If you come Orlando FL area, you are welcome to crash for a few days with my fam as you travel. I recently had the pleasure of seeing Dennis & Tammy Quinn a few weeks ago – they were here visiting their parents (close to me). Will you make it back “home” in May for the reunion? Suzi has my contact info via FaceBook. GOOD LUCK AND BEST WISHES ON YOUR JOURNEY! Hi Dave! Be safe nd I hope I can figure out how to track you!!!! Sue P.
Thank you so much for your support Sorry to hear about your father. My sister rides and has 4 children who all ride. My son played soccer also and never did learn to ride. I’m hoping to teach my grandson someday. As for donating to ALS research, Look in the left hand margin of my blog. You can either click on the ALSTDI logo or further down under my favorite links click on the link that says Help Cure ALS. Either way you will can access the sight where you can Donate. There is a Donate Now button next to my story. You can donate on line or there is an address where you can send a check.